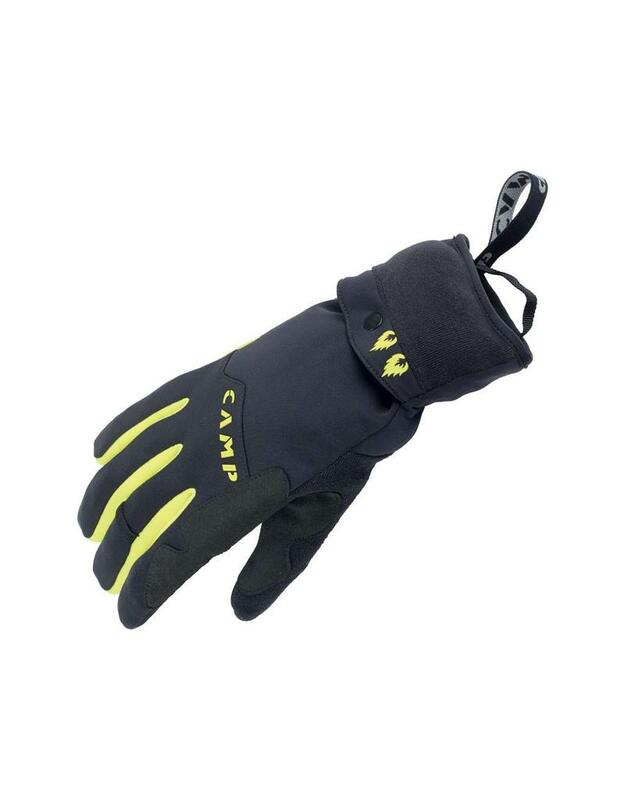 The Camp G Comp Warm gloves add extra protection with the special Warmit’N a lightweight overmitt with a ripstop nylon shell and PrimaLoft Gold 40 g/m2 insulation for a high level of defense from the wind and cold. The Warmit’N stows away in a sleeve on the wrist when not in use. Simply pull it out and over (the palm remains exposed for grip and dexterity) when the fingers need more protection. 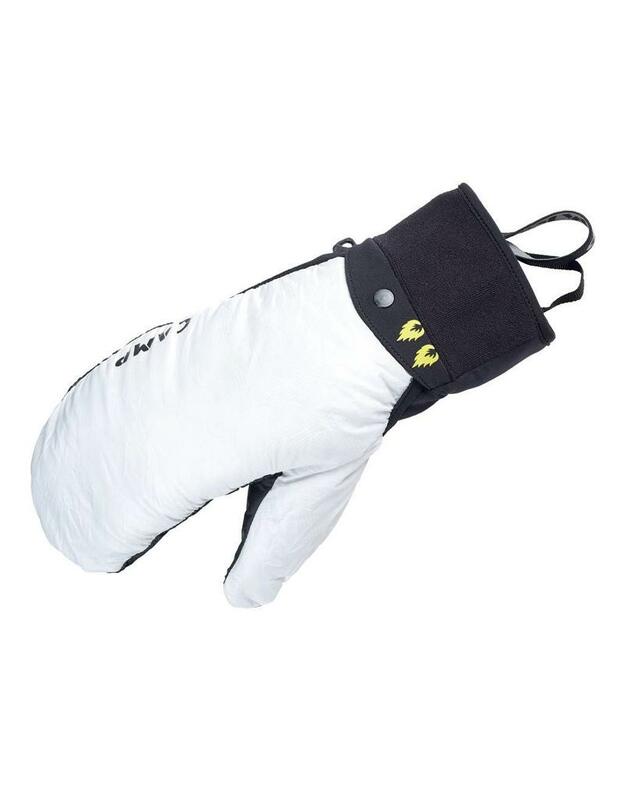 Originally designed for competitive ski mountaineering, the concept of the stow-away Warmit’N has attracted users in every kind of cold-weather aerobic activity. The base glove is designed to provide the right level of protection without overheating during normal use. 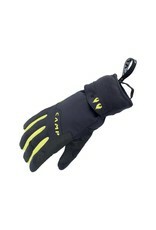 The addition of the Warmit’N gives a level of versatility that other gloves simply cannot achieve. The palms are constructed from durable synthetic materials to handle the wear and tear of activities like ski mountaineering where they withstand hard poling and fast work with bindings and skins. Grip’R pads on the thumb, index fingertip and palm assist with grip, dexterity and fine motor control, and reinforcements between the thumb and index finger ensure durability at this common failure point. NOTE: Help ensure the longevity of the Warmit’N by always removing it when working with bindings and skins. 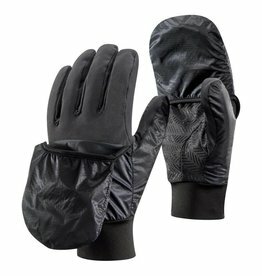 Built to tackle steep ice on the most bitter-cold winter days, the Black Diamond Enforcer glove features maximum warmth, dexterity and maximum protection.